Superdiversity has been recognised as a common feature of urban spaces in globalized cities around the world today. The relationship between superdiversity as a social phenomenon and the local policies that frame this reality is still emerging. 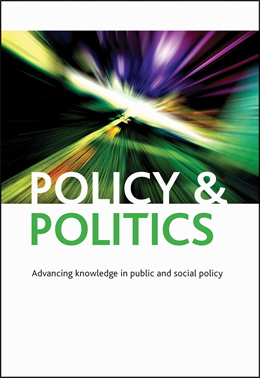 Our recent Policy & Politics article explores how urban governance strategies are incorporating superdiverse spaces into local policies. We use the concrete case of Mouraria, a neighbourhood in Lisbon’s historical district undergoing a renewal process, to investigate the social dynamics that have constituted the idea of ‘diversity advantage’ in a specific urban space. Three mechanisms work together towards producing this ‘diversity advantage’. The first, a de-ethnicised interpretation of culture and identity that works as a regulatory framework for both public authorities and stakeholders. The second, an aestheticised version of diversity, in which cultural practices associated with ethno-cultural groups are mediated by artistic creations and are managed by cultural programmers. And finally, the third mechanism, named place marketing is associated with images of superdiversity and ethnocultural supply that imprint a cosmopolitan style upon the city. Through our research, we found that urban governance in a superdiverse neighbourhood relies on policies of economic development and market creation that incorporate cultural diversity from a de-ethnicised perspective.